Skin & Beyond Day Spa Blog: Want longer, thicker and fuller eyelashes? Want longer, thicker and fuller eyelashes? 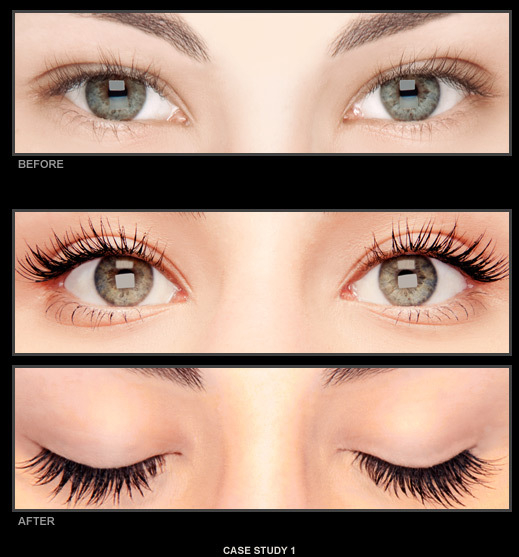 Lavish Lashes is a revolutionary new product that lengthens and thickens eyelashes. Lavish Lashes semi-permanent eyelash extensions are individual synthetic lashes that are designed to replicate a natural eyelash. Each polished eyelash extension is curved with a thicker base that gradually narrows to a point. They are applied to individual eyelashes, one eyelash extension at a time, to extend and thicken your client's eyelashes. 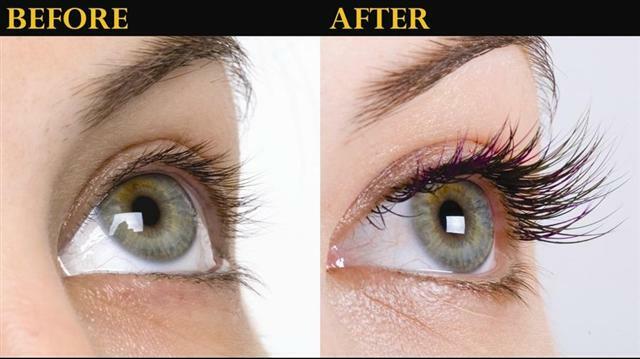 The result is a set of long, luscious yet natural appearing eyelashes. Lavish Lashes eyelash extensions are perfect for special occasions as well as everyday wear. With proper application, Lavish Lashes look and feel completely real. How long do Lavish Lashes last? When applied properly, semi-permanent Lavish Lashes can last up to a month, depending on the natural growth cycle of your natural eyelashes. Most clients will want touch-ups every two to three weeks. Lavish Lashes High Performance Bonding Agent is specially formulated with a unique waterproof bonding agent to last longer than most other adhesives. You will find that the right bonding agent is of critical importance. Lavish Lashes High Performance Bonding Agent has just the right blend of properties, including safety, bond strength, drying speed, lack of odor and maximum shelf life. Can I swim, shower, exercise, or visit a spa while wearing Lavish Lashes? Yes. Our specially formulated bonding agent allows you to shower, swim, exercise, sleep and spa worry-free while wearing Lavish Lashes. You can enjoy these lashes with little need to adjust your lifestyle. Please do not swim or spa for 48 hours after the procedure to allow the bonding agent to fully cure. How are the Lavish Lashes applied? Lavish Lashes are applied one lash at a time to your individual natural eyelashes to achieve long, thick and natural looking eyelashes. The procedure involves bonding the synthetic extension to your own natural eyelashes. We recommend getting a touch up every two to three weeks. A natural eyelash falls off every 60 to 90 days on average due to the natural growth cycle and is naturally replaced with the growth of a new eyelash. At any given moment, each of your natural eyelashes is at a different stage of its life cycle. A touch up is needed to replenish the lashes that have completed their life cycle. Can I apply mascara to Lavish Lashes? Indeed, one of the main advantages of Lavish Lashes is never needing mascara again. However, if you must have the mascara look, only water based mascara can be used. DO NOT USE OIL-BASED OR WATER-PROOF MASCARA. Waterproof mascara along with any type of oil based mascara will dissolve the bonding agent and cause the Lavish Lashes to fall off. How do I take care of Lavish Lashes? Your new Lavish Lashes are long, thick and beautiful! Once applied, they last up to one month. Best of all, they are easy to maintain. To maintain this look and extend the life of your lashes, follow these easy care instructions: Do not wash eyes or shower for 24 hours after lash application. Do not swim or spa for 48 hours after lash application to allow adequate time for bonding. Be gentle with your lashes. Avoid rubbing your eyes. Avoid oil-based and waterproof mascara. Water based mascara and water based mascara remover may be used. Use mascara sparingly and gently remove mascara with water-based eye makeup remover. Apply mascara on the tips only. Call us at 615-794-5282 for more questions or to book your Lavish lash appointment! Tired of the "peach fuzz" around your face?